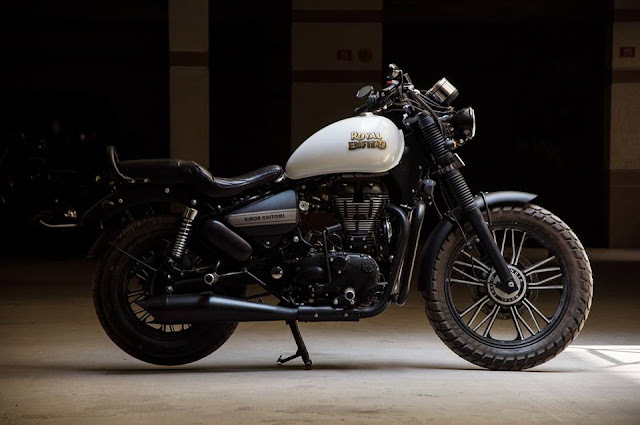 EIMOR Customs has modified Thunderbird 500 from Royal Enfield into a new beauty, base bike which came to them from Berhampur Odisha. They have been told that this bike deserves an agressive look, and by looking at the design, they can surely say, it does look affressive. The lines of the bike, the stance and the flow of the bike gives a nice macho feel to the overall motorcycle. EIMOR Customs have used 15 inch alloys at the back and 19 inch alloys in the front, with bulkier tyres. the mudguards have been custom made with its fitting points. The seat is very comfortable and provides a nice resting for the 28 horsepower 500 cc engine. The twin headlamp and the blacked out metal casted indicator lamps and the broad thick pipe handle bars just go along very well. The tail lamp is a LED strip light with integrated indicators and a nice rear number plate with brake lights are just apt. 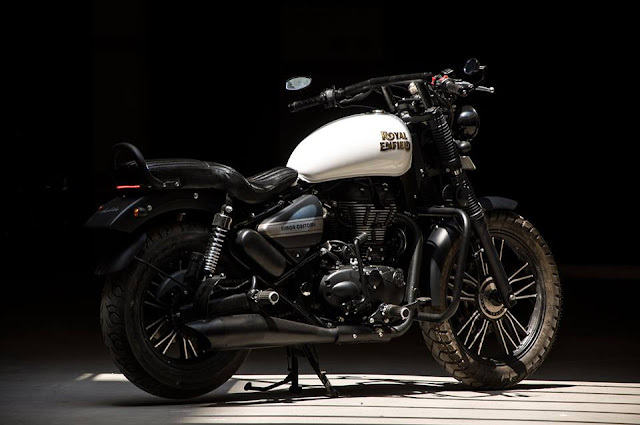 The Entire body of the bike is painted in matte black with Grey graphics and the tank is painted in Pearl white with gold leaf lettering and black pinstripes.